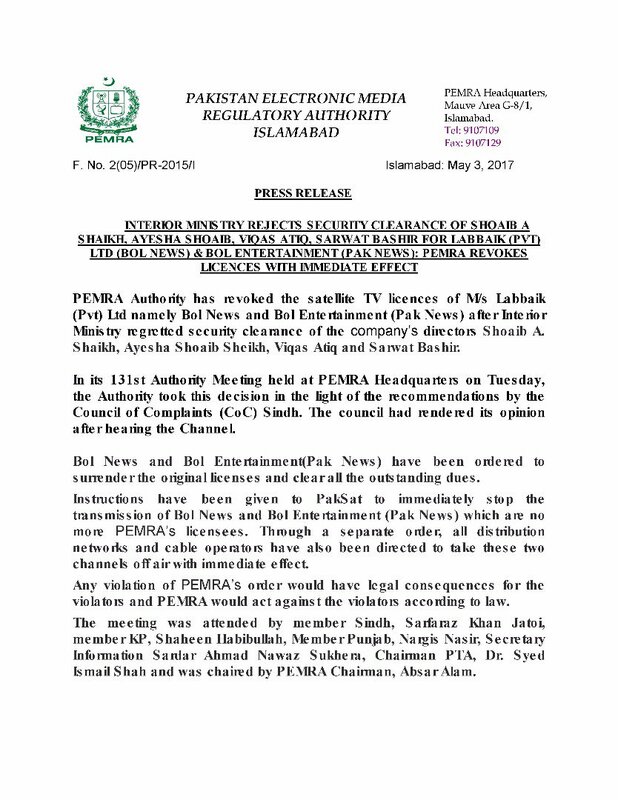 Home TV PEMRA Orders BOL News, Pak Live Shutdown, Revokes Licenses! 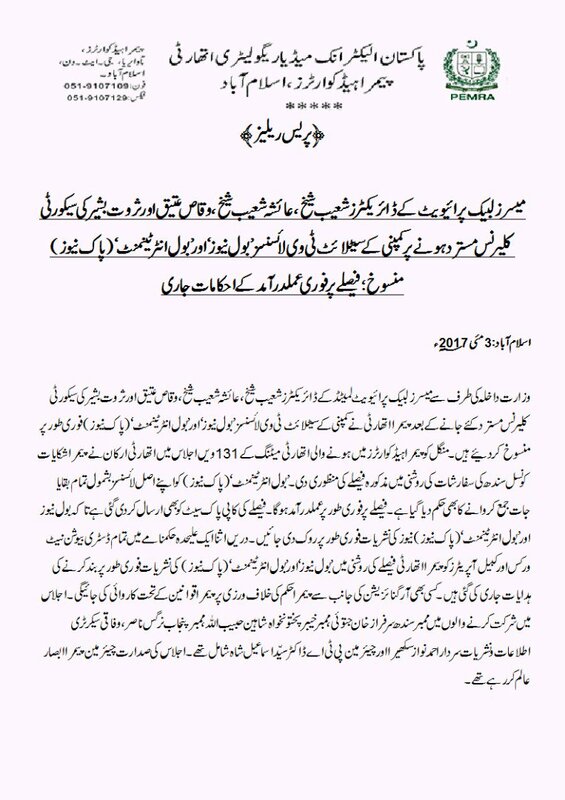 PEMRA Orders BOL News, Pak Live Shutdown, Revokes Licenses! PEMRA is on a banning spree these days, slapping suspensions and notices left and right for the vulgar and indecent content aired on television. In a move which was quite predictable, PEMRA has just revoked the licenses of BOL TV’s two top channels i.e. BOL News & Pak Live (BOL Entertainment)! Hamza Ali Abbasi Defends Pakistani Shalwar Kameez At HUM Awards 2017 In The Best Way Possible! Previously, BOL’s broadcast has been suspended by PEMRA and Aamir Liaquat has also been reprimanded for his hate speech. PEMRA revoked the licenses for BOL News & Pak Live (BOL Entertainment) after the Interior Ministry rejected security clearance of the company’s directors. According to the report, BOL News & Pak Live (BOL Entertainment) have been ordered to surrender the original licenses and clear all outstanding dues. Through a separate order, all distribution networks, and cable operators have also been directed to take the channels off air. PEMRA said it would act against those found in violation of the order according to the law. In response to this, BOL strikes back with a Twitter campaign featuring the hashtag #BolKoBolnayDo! The Sindh High Court had last year ordered restoration of Bol News’ license while putting in abeyance the operation of an order issued by PEMRA to suspend the channel’s license. Previous articleSaba Qamar’s Hindi Medium Release Date Postponed Yet Again! Next articleNargis Fakhri & Uday Chopra Marriage Rumors: Real or Fake?